Miss your buds from Vanilla WoW? A new site aims to reconnect you with your best pals for Classic. World of Warcraft launched almost 15 years ago now. That’s a long time, and due to the nature of friendships on the internet, it’s possible that you may have drifted apart from people who you once played with. Vanillafriends.com hopes to help you reconnect in advance of the Classic servers going live. 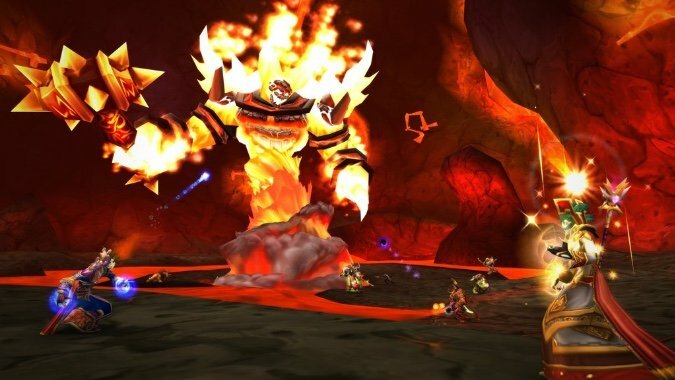 If you’ve been looking to fill out your future Molten Core raid team with your old tank this is the site for you! Simply put your Classic server and main character name in, with a current method of contacting you, and your name is added to a database that others can look up. This is still a pretty fresh site, but there are already more than 8000 people in their databases. You filter by faction or server, and hopefully, you recognize a name. A tool like this will only get better the more people there are using it. Who knows, if this takes off in a big way, maybe they’ll expand the site to include other expansions. I have always wondered what happened to a few people I used to raid with during Ulduar. With anything on the Internet, it’s a good idea to practice some safety. We want to believe the best in people — but it still might be a prudent idea to make a fresh Reddit account or Discord username. I’ve already peeked at my old Warcraft server, and it doesn’t look like anyone I used to play with has added their name yet. My poor Dwarf Hunter has been sitting in Ironforge for so long I doubt that anyone would recognize him with how long his beard has gotten. What made Warcraft great was the friendships we made along the way. The sense of community on your server was the highlight of Warcraft. For some people they’re still playing on the same server they started on all those years ago, but for others, this could be a way to catch up on more than a decade of lost friends.